After watching that video, it's as if Frye had no blueprint whatsoever when working on the 2600 version. 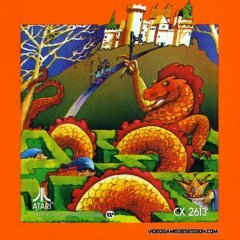 Perhaps Frye didn't know how to extend the capabilities of the 2600, which is fair given how many titles looked & played later on once game designers figured out ways to trick the system. I agree in that a little humility from Frye would go a long way. On a 4-switch Woody VCS via Harmony using a Coleco Gemini controller. My hat off to the developer! Awesome port. Still working on my score! Ok, I give up. I came within a few points of my last score and gave up the ghost👻. Time for a break! I recalled another attempt at Pac-Man 8K. 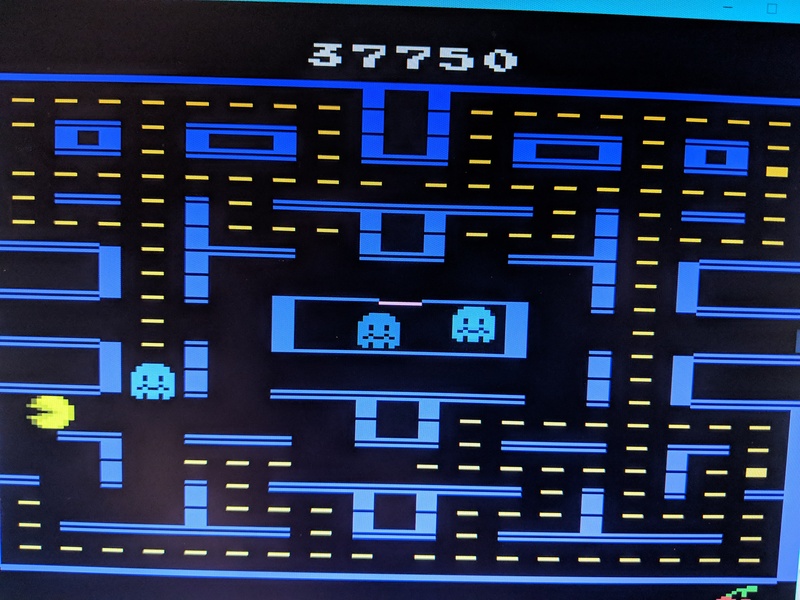 This was a hack by AA member Nukey Shay using Tod's original code, kernel, ghost AI and maze layout but with improved control, speed, colors and sound. Here's the bin file. This still feels very 2600 but it's interesting nonetheless. Congratulations @Marco1019 on an excellent score! DINTAR816's Pac-Man-Man 8K was our first Homebrew Squad Challenge, I'm thrilled to see the turnout and enthusiasm for this game! Kudos to DINTAR816 for creating this amazing home-brew! It was great to have all of you jump in this challenge, and to welcome new member Marco1019 to the forums! Marco won the Squad Challenge with a high score of 146,770. @kamakazi20012 brought his A-Game with 61,140 points, and @RadioPoultry took 3rd with 47,560 points. @atarilbc scored 41,790 points, @TrekMD checked in with 37,750 points and @RickR was right on his tail with 37,610. @Atari Creep rounded things out with 11,680 points. I disqualified my score because I started playing the wrong ROM. Great showing guys! Congrats to everyone who played! 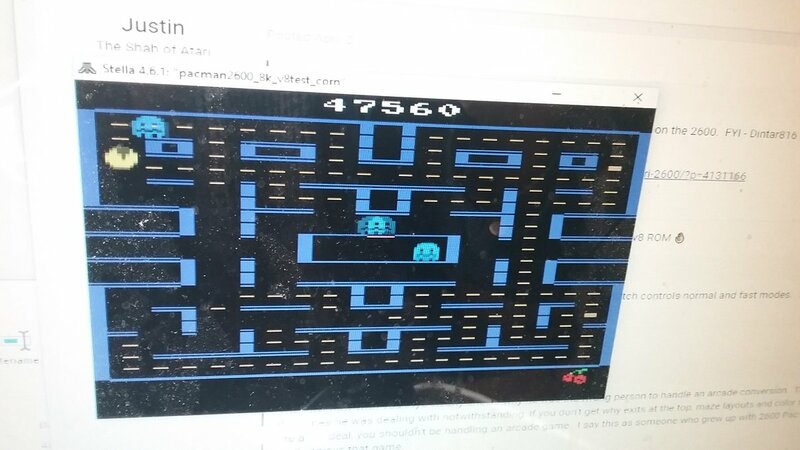 I'd like to welcome Marco1019 to the Atari I/O Forums and encourage him to post his new high score on the Scoreboard, and maybe this Challenge can continue on! Our next Squad Challenge will be for the TurboGrafx-16 and will begin tomorrow, Tuesday, April 16th. See you there! Absolutely! That's what it's all about. I'm glad you got to join us for High Score Squad, I hope all of you had a good time celebrating Pac-Man! Yet for all his plans to recreate all his tech demos, to fix Pac-Man (which several people have already done), and to finish up SwordQuest AirWorld, he's quick to admit he probably won't get around to doing them.